The world of conducting security audits can be very complex. There are many people involved in this aspect. Come to think of it ensuring building security can be very critical. Security audit will help locate situations that can threaten not just the facility but the operations as well. Since this has a very large scope, there should be more than one person attending to this matter. In the world of conducting security audits, the building manager has the following roles to play. The building manager must get involved in the planning process and must be part of identifying how the organisation can respond to disruptions and potential threats. Part of the plan is to make it a point that physical modifications may be considered to protect the facility. Developing a response plan will also be critical in this stage. All these are part of the roles played by the building manager. It is important for the building manager to learn how to identify facility threats. This is the key to determining how intense the audit must be made. Identifying threats will depend upon the activities involved in operating the building. The manager should take a different approach if the building offers public service or commercial activities. It is also a building manager’s role to make sure that a facility’s susceptibility to attack is assessed. Alongside this, it is his task to know if a disruption will have an impact not just on the facility and its occupants but anything beyond that. From here, solutions will be made including making sure that unauthorized people will have second thoughts barging in to the facility. This means taking time out to talk to occupants and know what their concerns are. From here, the building manager will be able to easily identify what the potential threats are. When he becomes open to this thought, occupants will not hesitate to voice things out in case they feel there are security problems during a particular time. A building manager must be able to identify access points where the intruder may easily come in. He has to learn this to be able to identify security measures that must be in place. He will make it a point that these areas are guarded very well so as not to compromises overall building security. He must likewise know which of these access points are easier to control and which ones are not. This is definitely one of the most important roles played by a building manager. He should take on the task to inform the audit team about the reasons behind why security audit is needed. Consultants will definitely be more than willing to lead this effort and will also provide guidelines as well as suggestions that will help improve building security. Working hand-in-hand with building managers will give consultants access to more specific technical details on-site. The building manager is also involved in knowing weak points within or outside the facility. He must see to it that old components are replaced to meet the building code. He must make it a point that he knows the impact in case they decide to shut down the building due to threats. There are indeed a lot of roles that a building manager should play when it comes to handling security audits. Of course, he cannot do the job alone. He will definitely get a lot of help by partnering with a professional security consultant in Montreal. 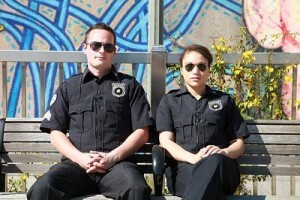 Security guards have many roles to play in a given time and situation. Like other professionals, they know when it is time to go home and when it is time to stay for a couple of hours more in order to deal with an urgent problem. Property owners must have that same perspective when it comes to security. The sense of urgency must be practiced according to the matters at hand. It is very important then to be able to learn more about which security matters are important and which ones are urgent. Important tasks are those tasks that can contribute to your company’s long-term vision with the intention to improve your business. Urgent tasks, on the other hand, are those tasks that require immediate action. An example of an important task is implementing a new security rule while an example of an urgent task is making a phone call to report a security matter. Segregating important from urgent tasks can be classified further. These are tasks that have to be finished as soon as possible. These tasks have to be prioritised because once you put them off, you have to be ready for the consequences they can seriously bring to your business. Among those tasks categorised as both important and urgent are: meeting tax deadlines whether federally, state-wide, or locally; hiring people to occupy vacant positions to avoid being undermanned; and making sure that payroll is prepared and submitted accordingly. These are tasks that take too much time to accomplish but are often ignored because there are more urgent tasks that need your attention. Admit that because we are just human beings, we want to make sure we respond to activities whose immediate consequences are known. It may be a sort of bias to do so but we can do something about the situation. The best way to do that is to recognize tasks that are important but are not urgent. One of the tasks included in this category is streamlining company operational processes. Another is working on a way to improve marketing by looking into options that will help increase sales and referrals. Keeping in touch with avid or loyal customers as well as knowing your key clients and improving relationships with them is also included in this list. These are tasks that can take so much of your time because they need immediate attention even if they will not be part of fulfilling the company’s long term vision. An example of such tasks includes taking calls even when you have a lot of other things to do because no one is willing to take the call. Many times, security guards are prone to taking calls even when they are on post because nobody is there to help them answer the phone. Reading unimportant emails and replying to them is also another. Doing jobs that are not part of your job description or those which have already been delegated to others is another. Focusing your thoughts on these things will definitely be a waste of time. They do not require immediate action and will never be fruitful for your business. You need to cut back on these tasks so you will become progressive. Examples are checking who is posting on social media, reading the newspaper, spending time watching more YouTube videos. In the world of security, all these tasks can affect the way with which the business goes. It is important to educate your people about these tasks. 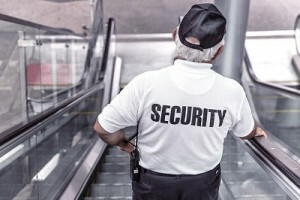 If you work with well trained security guards in Montreal, you can certainly expect them to excel when it comes to separating important from urgent security tasks. Condominium living has become very popular for a lot of people because of the security it can provide them. People who live in condominium buildings are aware of the fact that there is a team of dedicated security personnel who is more than willing to protect these living spaces. As condominium building property managers, you have to make it a point that you live up to the expectations of your residents. You have to make it a point you have measures in place to deal with unwanted guests that come in and out of the condo building. As a property manager, you have to make it a point that you get help from your security team when dealing with unwanted guests. You can prevent dealing with this situation if you remind your security team to take note which people are allowed to come in and out of the building. It is expected that your tenants have already notified the security in advance regarding those they are expecting to come and pay a visit. Alongside notifying security about people they are expecting to come, occupants will also provide other information that will warrant that the guest is authorized to come inside the building. Information like the time they expect the guest to arrive has already been made known to the security in charge of the condominium building. Make sure that the security team follows the instruction of the occupants to keep the building secured at all times. Tenants must be warned that there is a minimum number of guests permitted to occupy a unit. This is to ensure that fire and building codes are complied with accordingly. Remind your tenants that guests are not allowed to make unnecessary noise that can disturb other tenants. Both guests and residents must be fully aware of all these rules. Will they pose danger to residents in the building? How do these guests usually sneak in to the units? You have to make sure that these guests will not pose any danger to your occupants and to the property as a whole. Sometimes, you have to admit that there are guests who do not intend to commit any crime but can be a nuisance to the building. Call the guard on duty when you tend to be alarmed with the presence of unwanted guests in the condo building. Remind your tenants to do the same if they feel like their safety is compromised with the presence of people that they do not know. Always be vigilant when these guests come in and pass on that same level of vigilance to your tenants. Discuss what you can do with the entire condo board or even tenants as the case may be. Try to solicit advice from everybody and check on whether confirmation phone calls are necessary to lessen the presence of unwanted guests in the condo building. Discuss more about which credentials will be needed to allow these guests to come into the building. Know when it is time to stop the guest from coming in to the building as well. When the unwanted guests intend to commit crime and you have established that, you can ask help from local authorities too. Once you have notified the authorities, you can notify your security team about the call you have made to give police better access to the condo building and be able to stop the crime. It is very important to involve the security team when dealing with unwanted guests in your condo building. Contact us if you want to hire top notch condo security in Montreal.